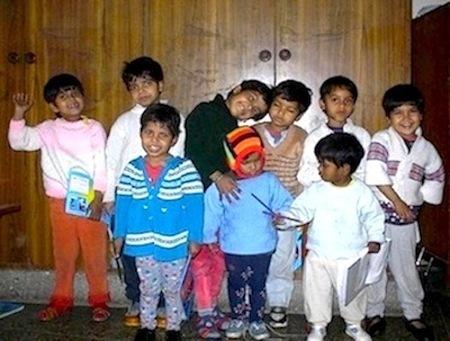 Orphanage and Vocational School in Jangpura, New Delhi and Jabalapur, India. At Shishu Sangopan Griya Orphanage, Mr. Jim De and Mrs. Vandana De work to help children and families in need. They have a vocational school to teach the children, not only the orphans in their care, but also children without homes. In the summer months, they bring in the children off of the street in the hot climate to expose them to other options and ways of life. They also have a special needs center in Jabalapur for children that will be less likely to find a home. The day care services they provide are free for such parents who are living with difficult circumstances, and unable to fulfil their daily needs. By leaving their children in their care, the parents are now able to focus on finding employment, and thus sustaining the needs of a family. Additionally work with mothers who come to the orphanage to have their babies before returning to the villages. They care for the infants, and the little ones have a playground and partake in other outdoor activities. I was fortunate to be able to spend time in India working with the children of the Shishu Sangopan Orphanage. I spent over a year getting to know them, and had the privilege of caring for them. We played games, read books, played with toys and talked. 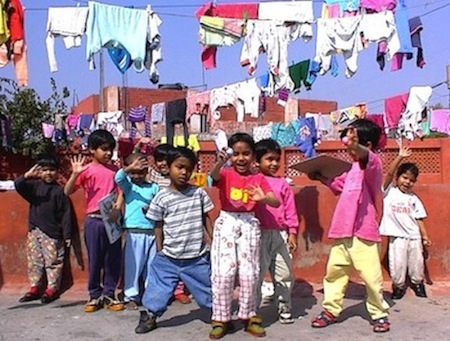 They taught me Hindi and I taught them English, through reading and games. I was happy to see them adopted, though I missed them when they left to a new home. The past 34 years SSG has silently worked hard to support the needs of children, through finding loving families and homes for so many children. We have continued to donate to their programs, and bring over clothes and medical supplies whenever traveling to Delhi. If it interests you to take part in the spirit of giving to the little ones in need, you can contact us, or the center directly.